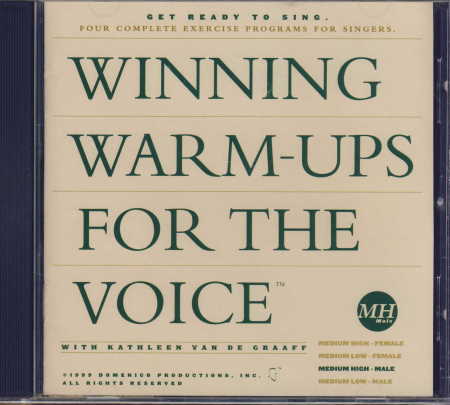 Winning Warm-ups for the Voice is the first in the Winning Warm-ups series. This recording is devoted to strengthening the voice and developing range, vowel consistency and flexibility. Each CD contains four complete programs of approximately 15 minutes each and includes an instruction book.